Yom HaShoah, Holocaust Remembrance Day is when the Jewish People around the world bow their heads to remember those who perished throughout Europe during the early 1940’s. The relationship between the Maccabi Association and Maccabi Tel Aviv is one that will be forever intertwined due to the colors of the club’s jersey. 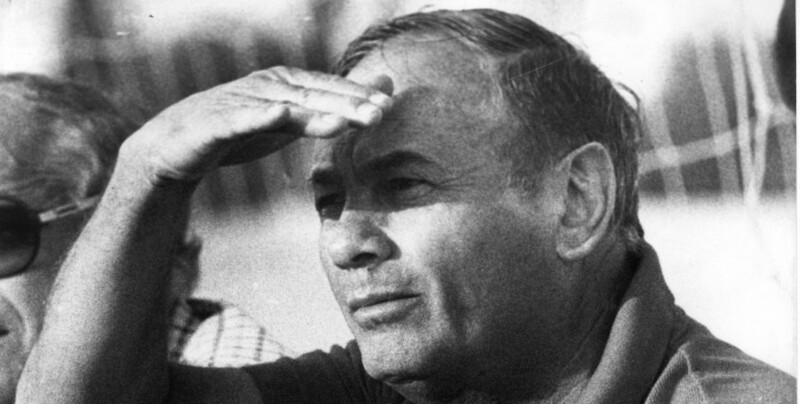 Yossef Merimovitch Z”TL of Blessed Memory, is personally responsible for the deep ties Maccabi has with the Holocaust. In 1943, Merimovitch, who at the time was one of the stars in Israel, heard about the atrocities that were going on and could not remain indifferent. The striker, who had been scoring goals at a tremendous clip for the side that played in Blue-and-White understood that the Jews of Europe were forced to wear a Yellow Star in order to differentiate them from the others. He asked that the club add yellow to their uniform in order to stand in unity with their brothers and sisters who were being persecuted. The request didn’t fall on deaf ears and from that day on, yellow has been part of Maccabi and the connection between the club and the Holocaust will always remain as one and the same. This year, Yom HaShoah falls on the exact date that Merimovitch passed away, just five years ago. 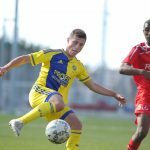 Merimovitch began his career as a footballer with Maccabi “Michael”, and immediately impressed the coaches giving him his first start in a Maccabi Tel Aviv kit. Football was always an important part of the Merimovitch household as his older bother Menachem (Mendele) starred for Maccabi Tel Aviv as well. Menachem represented Israel many times across the ocean and eventually settled in Australia with two other National Team players. Mendele passed away while fighting in the Australian Army at the beginning of World War II. While his brother was in Australia, Yossele became one of the stars of Israeli football. As a player, Merimovitch won six Championships and six State Cups, a record that still stands. Following his playing career, Merimovitch had plenty of success as a coach winning a title and a State Cup over three different terms with the club. He also led the Israel National Team on two occasions while taking home the Asian Cup once. The Lockerroom: Why are the players laughing?